Did you know it takes 12 female bees a total of 1249kms to produce 1 teaspoon of honey? Let’s get moving like the BEES and BEE part of the annual 4 week Student Health Challenge! Quiet Disco – Come put on a pair of headphones and choose from 2 music channels and come dance like no one is watching! 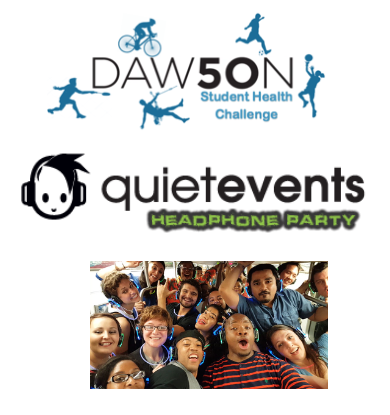 Max 50 headphones…Come get your dance on!!! The more activities you participate in, the better chance you have at winning one of our prizes!!! Gift cards, Workout gear, and more!